Gentle Family Dentistry strives to provide superior care in a gentle and caring environment. To provide superior dental care in an inviting and comfortable environment, while creating lasting relationships. In a World of Technology..
We are proud to offer the latest dental technology in our Dunkirk, MD office. We are one of the only dental practices in Calvert County to offer CEREC technology. We offer low radiation 3D Cone Beam Imaging to gain the clearest and most accurate digital images to assist us in diagnosing our patients. Gentle Family Dentistry also utilizes laser family dentistry and laser periodontal therapies. Our CEREC technology helps us create beautiful cosmetic restorations that are performed in one day. We also offer hybrid implant dentures. A standard of excellence in personalized dental care enables us to provide the quality dental services our patients deserve. We provide comprehensive treatment planning and use restorative and cosmetic dentistry to achieve your optimal dental health. Should a dental emergency occur, we make every effort to see and care for you as soon as possible. But in some instances, we may refer you to the emergency room. As a practice, we are true believers that preventative care and education are the keys to optimal dental health. We strive to provide “dental health care” vs. “disease care”. That’s why we focus on thorough exams – checking the overall health of your teeth and gums, performing oral cancer exams, and taking x-rays when necessary. We also know that routine cleanings, flossing, sealants, and fluoride are all helpful in preventing dental disease. Not only are we focused on the beauty of your smile, we’re also concerned about your health. A review of your medical history can help us stay informed of your overall health, any new medications, and any illnesses that may impact your dental health. We also take a blood pressure screening at every adult new patient appointment. As your dental health professionals, we want you to be confident knowing that we are a team of highly trained and skilled clinicians. We pride ourselves in providing the care you need to keep your smile healthy. To give you the best possible service and results, we are committed to continual education and learning. We attend dental lectures, meetings, and dental conventions to stay informed of new techniques, the latest products, and the newest equipment that a modern dental office can utilize to provide state-of-the-art dental care. Also, being members of various professional dental associations helps us to stay abreast of the changes and recommendations for our profession. Dr. Sclater and Dr. DeLeon are trained and certified by the American Academy of Facial Aesthetics and Allergan (the manufacturer of BOTOX® and JUVÉDERM®). In addition, they are members of the American Academy of Cosmetic Dentistry. Their advanced knowledge of facial anatomy and extensive experience with dental injections create a natural choice when you choose a cosmetic dentistry specialist for BOTOX® and JUVÉDERM®. We are honored to serve Dunkirk, MD and surrounding Calvert County and Southern Anne Arundel County. Building a foundation of trust by treating our patients as special individuals is vital to our success. We understand how uneasy some patients may feel about their dental visits, and how we can make a difference in providing a relaxing and positive experience. 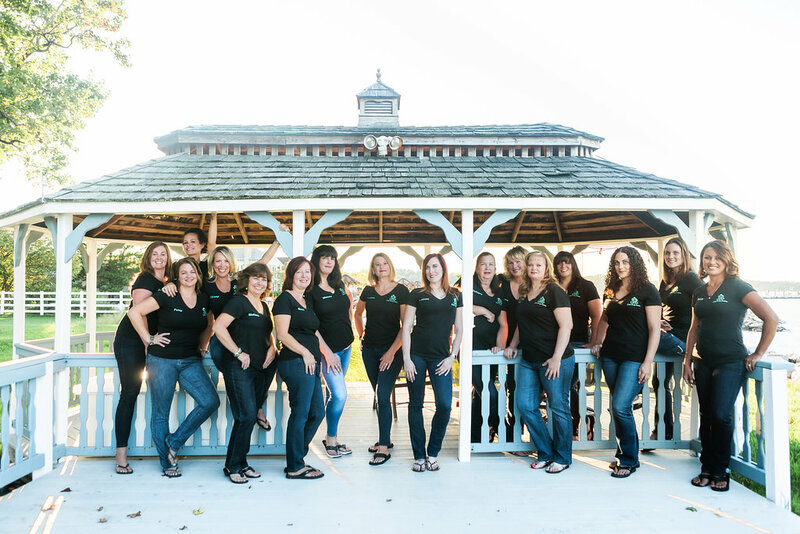 Our entire team is dedicated to providing you with excellent personalized care and service to make your visits as comfortable pleasant as possible.